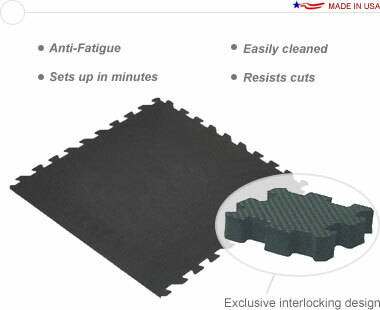 A complete set of interlocking floor tiles that set up easily and within minutes to form a full, 10′ × 20′ floor. Available in six colors. These anti-fatigue mats provide far superior comfort for trade show attendees and staff than thinner matting or hard flooring. 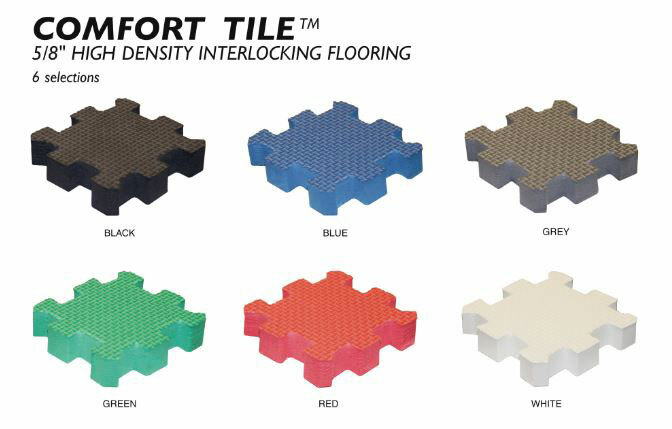 Comfort Tile™ features a high density EVA finish that allows for easy cleaning and added durability. 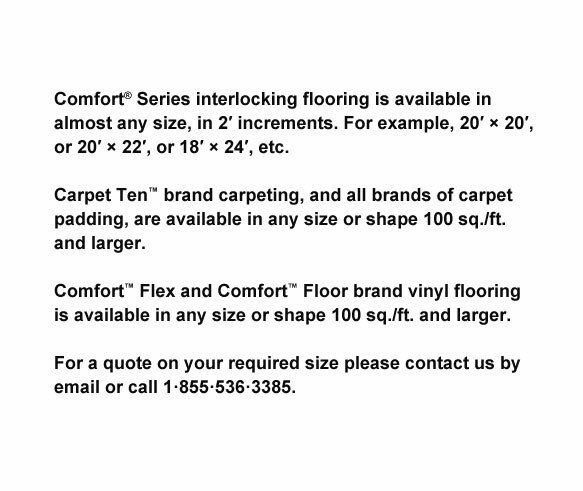 The Comfort® series features an exclusive interlocking design that ensures a safe walking environment, and a fantastic, near-seamless look for your exhibit floor. The flat shipping rate for this package is $161.50 USD for standard delivery within the continental United States. Alternative shipping methods and International shipments are available; please contact for a quote. NEW: This flooring is now available with beveled edging on all sides upon request for an additional charge.